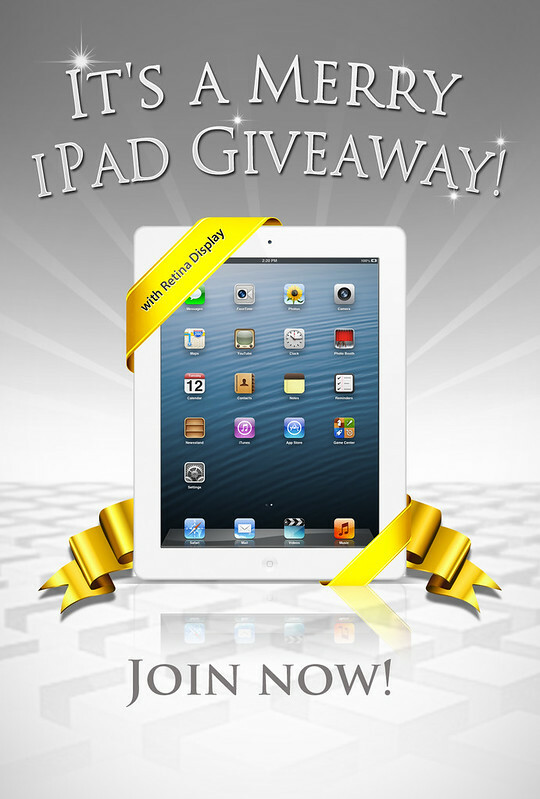 Join our iPad Giveaway here. I would love to win this! How do I enter?? I want to win for my son, Uan. RETINA……What an out of the world Christmas Eve Birthday Prestent to my self plus Christmas it would b to win one!!! So cool on my blog!! I would luv to win this product. I happen to use my friend’s apple ipad and luv it….luv it….luv it! Would make a great gift for my son at university! Would happily give to someone I loved if I won! Would love this! I’m looking for a job and this would help me so much! Merry Christmas! Thank you for the chance to win this great prize!